Buon giorno and welcome to Stefano’s RomeCabs, Rome’s leading company for Transfers, Day Tours and Shore Excursions in Italy. Summer is the most popular time of the year to visit Italy as this is when most people take their vacations – especially families with kids on their summer break. Summertime is peak travel season in Italy, and cities like Rome are not only one of Italy’s top visitor destination, but also for cruisers who leave and arrive at the cruise port of Civitavecchia, but also dock on a shore excursion. By waiting close to summer to book your Airport Transfers, Civitavecchia Port Transfers, Day Tours and Shore Excursions, you may find limited availability and many companies of choice already booked up as many travelers plan their trip up to 1 year in advance and book accordingly. Don’t wait until last minute, book everything you need in Italy in advance and you’ll have nothing to worry about prior to your trip. 2 Wearing flimsy and inappropriate footwear or flip-flops that can not only cause foot injury but risks of falling. Streets in Italy can be made of cobblestones or pavement that may not be entirely smooth – making it easy to trip if not wearing proper shoes. High heels and platforms are not recommended as safe footwear for women. Archaeological sites like Pompeii, Roman Forum, Palatine Hill, and Ostia Antica have uneven earthy terrain with loose stones that can make it dangerous if not wearing comfortable shoes that also protect your feet. Street rubbish or sharp objects tossed by unscrupulous people who don’t properly dispose of their refuse in appropriate trash bins can seriously cut or damage your feet if not protected by proper footwear. We’ve seen many visitors with painful foot blisters, cracked and damaged heels, sprained ankles and other bodily injuries sustained by tripping or falling due in part to not wearing proper footwear. Flipflops and flimsy sandals are best saved for the beach. 3 Not bringing or wearing sun block, sunglasses or sun hat. The sun in the summer is very strong, and by the looks of many lobster red tourists, it’s clear many have not considered bringing or wearing sunblock. Pharmacies in Italy sell a wide variety of sunblock made by popular brands, so if you forget to bring yours you can purchase what you need in Italy. 4 Not wearing appropriate attire to visit churches. Summer vacation attire for many folks is made primarily of tank tops and shorts – afterall, you can also fit most of them in a carry on and limit the number of checked in suitcases on your vacation. However, many churches in Italy (and the most important ones) impose a modesty dress code for both men and women (and older children) that includes covering up shoulders and knees. This means NO tank tops or sleeveless tops, and not shorts, skirts, or dresses that show the knee. 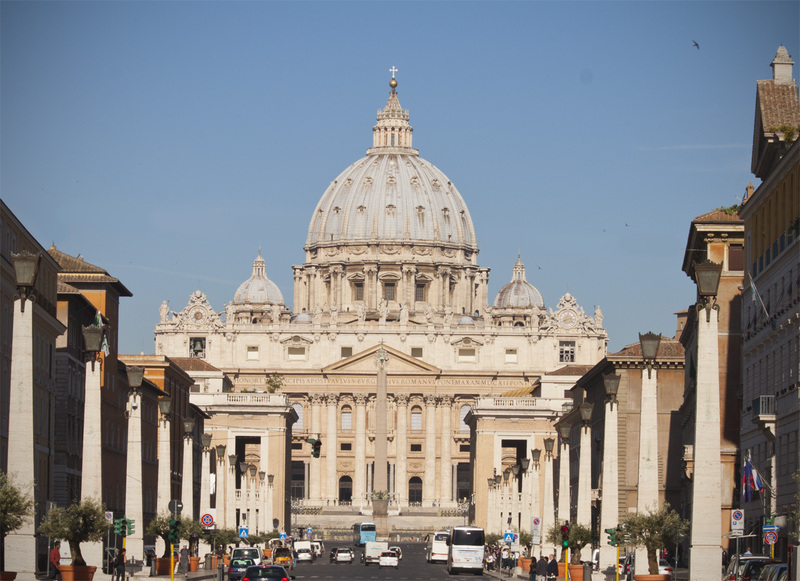 We’ve seen folks stand in line for up to 1 hour to clear security to enter Saint Peter’s Basilica only to be turned away at the entrance because they were not properly covered up. If you plan to visit churches are part of your travel itinerary, either plan your wardrobe on the day you will be visiting churches, or bring additional articles of clothing in your daybag that would cover your knees and shoulders should you wish to visit churches spontaneously (also a great idea in hot summer months as the churches are dark and cool inside). 5 Not planning your activities in advance and over relying on public transportation to get around different areas of Rome. In the summer buses and metros are crowded and hot in the summer as they are NOT air conditioned! In August you can expect long wait times for buses and metros as the run on a slower schedule since August is the month many Italians take their annual vacation and with fewer commuters, the public transportation also slows down. It’s best to plan your itinerary in geographically compatible areas to minimize your reliance on public transportation. From what we’ve heard from travelers, local white taxis don’t keep their cars air conditioned, so you can’t rely on them for a guaranteed cool transport from site to site. 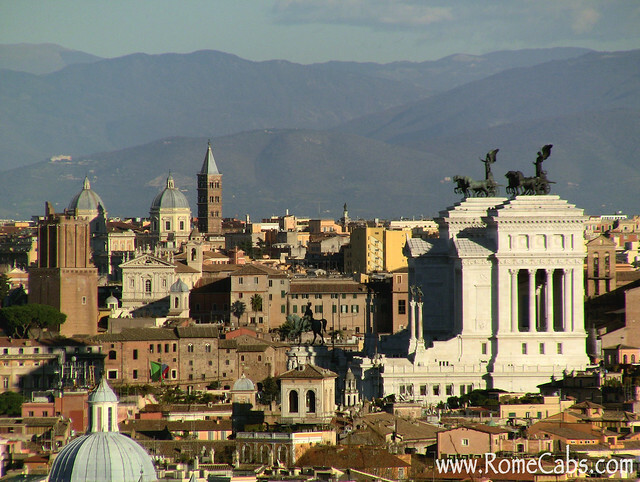 If you are short on time and long in the list of things to see and do in Rome, you can book a Rome day tour by car with us and we will take you on a full day tour of Rome in comfort and style so you can enjoy more of Rome in your private air conditioned deluxe vehicle driven by your personal English speaking Driver to ensure you see as much of Rome as possible in as short time as possible with ease and comfort. Most hotels in Italy have air conditioning and allows individual room controls so you can adjust your temperature as you wish. However, to ensure that your hotel, B&B, or rental apartment also has air conditioning system installed that you can control, check prior to booking. 7 Not expecting museums and monuments to be crowded, hot, stuffy, and some with long security lines. Museums like the Vatican Museums are not air conditioned (a difficult to impossible task considering the floor to ceiling precious artworks) and are super crowded. Some sites like St Peter’s Basilica and the Colosseum have security checkpoints that can result in long wait times in the hot sun. If hot crowded places are not appealing to you, you can opt to visit these sites first thing in the morning when the sites actually open to benefit from cooler temperature and fewer crowds. The Vatican Museums and Colosseum in Rome, The Uffizi and Accademia Galleries in Florence and other famous sites in Italy have long ticket lines that can mean hours long wait times…and in the case of the Colosseum, in the direct sun. You can avoid potentially long security lines by booking your museums and monuments tickets in advance wherever possible and skip the ticket lines. In the case of the Colosseum, keep in mind that there is also a security checkpoint through which ALL visitors must pass, including ticket holders. Although you don’t have to wait in the line to buy your tickets, you will have to wait in line to clear security. To avoid the long security lines, plant to visit the Colosseum first thing in the morning when it opens at 8:30 AM. 9 Not staying hydrated – a dangerous thing to do. Always have a small bottle of water with you to stay hydrated. Bring a portable water bottle to refill at public water fountains. In Rome there are many fountains with cool refreshing drinkable water. Cafes and markets also sell refrigerated small bottles of water at about 1 Euro each. 10 Going to popular beach and seaside locations for your summer vacation. In Italy, beaches and seaside towns are crowded with Italians and Europeans – even more so in August when many take their annual month long vacation and seek the seaside in droves. The beaches and towns are super crowded with local summer vacationers and not a very enjoyable experience if you have to literally fight crowds everywhere you go. We hope these tips help make your Italy trip better and more enjoyable.